Some viewers of the 2 hr. video “Learning About A World Beyond” might be tempted to call Justus Dean Fagerstrom a modern day Emanuel Swedenborg. I am not certain he is deserving of that much praise. There are as many contrasts between Dean Fagerstrom’s and Emanuel Swedenborg’s lives as there are similarities. But I can say he is more deserving of this claim than was Andrew Jackson Davis who was called ”the youthful Swedenborg of our day” and the “Poughkeepsie Seer.” He is a founder of Spiritualism. His ministry is reported in Scribe of Heaven pp. 219-222. (1) Not in any manner to my knowledge does what has been revealed to Dean Fagerstrom and what he has expressed of these truths contradict in any way the revelations given to the seer Emanuel Swedenborg. Among the contrasts in their lives are these: Emanuel Swedenborg was a Swedish nobleman, considered one of the most learned men in Europe during his time. He was proficient in thirty-three fields of science, a prolific writer and publisher of many scientific works as well as theological works the last 30 years of his life. He was also an inventor and researcher in all the sciences known in his day. In the 1977 Guinness Book of World Records Emanuel Swedenborg is described as one of the world’s geniuses with a purported IQ of over 200 on the Terman scale,p.50. On the Terman index 150 is considered genius level. He was actively involved in the politics of his country and for a while was sponsored by King Charles II of Sweden until his premature death in battle in November 1718. 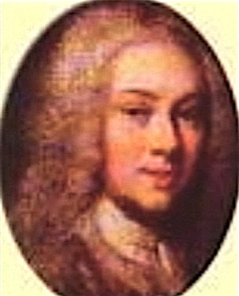 (2) Emanuel’s father Jesper Swedberg became the Lutheran Bishop of Skara in 1702 until his passing in 1735. (3) In May 1719 Queen Ulrika Eleonora, sister of Charles II, after ascending the throne ennobled the Swedberg family and other families similarly situated, seeking their support. Emanuel’s last name became Swedenborg. 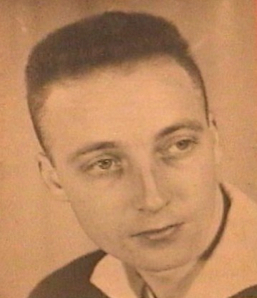 Dean Fagerstrom was born in poverty in 1932 during the depression. The family’s dwelling for a year was a tent pitched along side an Oregon river. His mother Edith Fagerstrom was a Pentecostal minister and the family lived in many states prior to Dean’s entering high school so his mother could pursue her mission in life. He has 6 siblings. Dean has a brilliant mind temporarily limited by a stroke. Possibly to make up for his lack of fame and recognition, Dean was given many gifts and talents to attest to his also acting as a servant of the Lord on behalf of heaven. These included an incredible gift of drawing and sketching, and piano compositions received from Franz Liszt numbering close to 100 during 1988 to 1993. They were recorded according to angelic instructions and inspiration.. He also exercised a prolific gift of writing poetry. Both Swedenborg and Fagerstrom wrote poetry but I would be willing to guess Dean’s is better without having read Emanuel’s. Because a small publisher in Virginia, Robert Freidman, sometime in the early 90's, told me that Dean had the best gift of imagery of any living author of that day. Some of his poetry sings and will be made available, possibly in early 2016. His piano compositions on tape will be available in late 2015 or early 2016. Dean has written many shorter articles on spiritual subjects as well as an important book titled A World Beyond. The massive crowning work, The Book of Anglion, subtitle The Language of Angels, is available as follows: Volume 1 is Book one and volumes 2 and 3 make up Book two. Both books are now available as E books. They can be obtained by going to Smashwords.com. Book 1 is $5.50 and Book 2 is $6.50 and fifteen percent can be viewed free to see if it incites interest to the reader to buy the E books. Volume 4 and collateral works (Book 3) including Numerical Correspondences Manifested will be available in late summer 2016. These are brief papers averaging 1 and 1/2 to 2 pages. The Book of Anglion is by far Dean’s most important ministry for the world. Swedenborg brought to the world the spiritual law of correspondences that the natural world corresponds to the spiritual world in its varied aspects. Also he revealed that the books of the Bible that make up the Word all contain an internal sense – a spiritual and celestial sense. See this expanded in Scribe of Heaven pp. 72-73 and 87. Dean has been given the science of numerical correspondence – over 1,000 pages of numerical sequences using confirming prime numbers. The mathematics involved are only simple (+ -- x ) and division. It is only a bit complex because of the number of numerical concepts involved which have as a focus the birth date of the Lord Jesus Christ. In countless ways this is confirmed to be the 11th of August 6 BC. Also the number of persons, dates, places and events plus significant phrases that are included make a study necessary to grasp its significance. One of the major things it also validates is the life saving significance of the writings of Emanuel Swedenborg. I have added to these pages the glossary of terms I encouraged Dean to write. This will at least give the reader a glimpse of what the numerical system entails. The fact there are countless numerical confirmations using prime numbers in the Book of Anglion seems particularly significant today in 2015. Numbers and math generally are the most objective science there is and a universally accepted form of communication. It seems very fitting that numbers should triumph for the good of society when society just recently came close to losing its financial system due to the greed of those who designed complex financial betting instruments and lobbied to make them as obscure and unregulated as possible. The kindest thing that can be said is the individuals involved lack conscience in relation to society’s welfare. It is only when those rich and powerful persons who are more dangerous than the mugger on the streets and who try to usurp the goods and work of others for their own come to realize the real value in doing good to others that society will be able to right itself. I believe it is Warren Buffet who calls derivatives mass weapons of financial destruction. Swedenborg pictures the human condition as a person standing on his/her head. The lowest parts (below the waist to the feet) are in command when the head with its potential to be wise and the heart and vital organs corresponding to being loving and charitable should be in charge and manifest itself as love to the Lord and the neighbor. See the Introduction to the Book of Anglion attached. Dean Fagerstrom did not become involved in or keep abreast of political leadership and its consequences nationally. I have kept far more abreast of political events since the late 80’s and have become a researcher/activist. Dean was too involved in his “real work” as his angel guide admonished him to do. This he was physically able to do until the summer of 2002 when he became disabled. So Dean’s spiritual experiences began earlier than Emanuel’s did in his mid fifties, a time when Swedenborg crosses over from his scientific pursuits to following the dictates of heaven. Prior to that Emanuel frequently meditated on spiritual subjects and was a religious person immersed in the fields of science and gained great prominence in his pursuits. Swedenborg’s works have, in fact, been translated into 35 languages. Dean, while his wife, Helga, was on this plane until age 45 and his children were at home, wrote many novels to try to add to the family income. However despite his gift of imagery he did not develop his characters enough to become a successful novelist. When the tragedy of his wife’s premature death struck unexpectedly he destroyed almost all his novels. He then reverted to his “real work” using all his talents for heaven’s goals for his life. Because he did not bury his talents nor ignore heaven’s instructions often given through his angel guide Maxine, they were given to him even more fully. The highlights of this part of his life are all described by him in Learning About A World Beyond. For those who wonder sincerely about the life after death they should find his discoveries a blessing. The selling of the video could not be more timely. It will introduce the viewer to some of Dean’s other important works – especially the Book of Anglion. Some doubts about the statements made by this honest man I have known for 60 years are anticipated. He will be criticized from some circles for embracing the truths revealed to Emanuel Swedenborg. Emanuel is a Christian revelator but has exposed heresies in both the Catholic and Protestant churches in particular but also in the Jewish faith and some other religions as well. Nevertheless Swedenborg is a universalist who sees all good persons who have striven to follow their faith’s tenets of good conduct similar to the ten commandments attaining entrance into heaven. That despite acknowledging the Lord Jesus Christ is our redeemer. However doctrinal clarity is essential; knowing with certainty the Lord God is Divine Love and Divine Wisdom and strives to lead us to heaven without violating our free will. The spiritual experiences Dean describes I have heard over the years and some he wrote down before writing A World Beyond. He was just as convincing then as he is on this video. And for members of the Swedenborgian Church who have read Swedenborg’s comment that at his time on earth miraculous signs such as healings and conversing with spirits or other miraculous events were not being given as these signs would compel belief, rest assured. Times have changed. Swedenborg said the focus then was on restoring the integrity of the Word and the prime doctrine that faith and charity are one. However miraculous healings are back and numerous persons having near death experiences have restored the knowledge that spiritual worlds are part of us. As Swedenborg reported the new church has been slow in taking hold on the earth. He also stated the Lord would eventually draw the new church into a closer relationship with Himself and a greater affiliation with angels than any previous church enjoyed. op cit p. 71 (7) Dean is a forerunner of this church which is at our door. Even Edgar Cayce predicted a new root race would arise in the 21st century more spiritually developed than were societies of prior believers. On the same page of Scribe of Heaven, pp 70-71. we learn why the Christian Church was in crisis and Swedenborg was called by the Lord to serve. And guess what? The spiritual crises we are facing today on earth have not yet been resolved and I believe requires heaven’s intervention. Emanuel’s claim to have observed the Last Judgement in 1757 may seem extraordinary to some. But the current teachings that God will bring terrible destruction with the apocalypse are contrary to the Lord’s nature, which is Divine Love and Divine Wisdom. But then most are unaware that destruction of the earth refers them to the end of the church and the rising up of a new one. If the earth is destroyed or made uninhabitable, man will do it, in some cases with women’s help. It is said of Swedenborg: “Phrases now and then depict him as a preacher and teacher in the spiritual world, widely traveled, famous to some, notorious to others, having extraordinary powers and protection from evil.” (8) op cit (pg. 84). Dean’s spiritual experiences are more of his being taught often by Maxine his angelic guide but also by other angelic or sometimes demonic spirits. And we are taught as well. In one notable account in his book “A World Beyond” Dean gives a dramatic description of how he is saved from an attack by evil spirits. Two of my favorite books of Emanuel Swedenborg are The Divine Providence and the True Christian Religion. The latter especially gives a scriptural basis for the doctrinal teachings Swedenborg says he was given directly by the Lord. This was especially important to me who ended up in life at 4 different theological schools /seminaries before completing my formal religious education. Apocalypse Revealed is also quite helpful in understanding what has happened in various churches. When I was introduced to Swedenborg’s writings at age 19 by a fellow student at Temple University, I grasped immediately this is truth – not even knowing at the time there were organized religious bodies promulgating his teachings. I would probably have tried to go to Sweden had Emanuel Swedenborg still lived on this plane hopefully to learn at the master’s feet. Instead by the Divine Providence and the Lord’s mercy I have enjoyed a life long friendship with Dean Fagerstrom who I am seeking to introduce by this 2 hour video entitled Learning About A World Beyond. I have quoted several references from and I recommend Scribe of Heaven (Swedenborg's Life, Work and Impact) edited by Jonathan Rose, Stuart Shotwell and Mary Lou Bertucci.The main text is 372 pages and the book includes extensive bibliographies and indexes for a total of 580 pages. This should satisfy any scholar/researcher who wants to learn more about Swedenborg's scientific works, his prose, poetry and spiritual writings as well as biographies about him. The book can be purchased for $30.00 from the Swedenborg Foundation Publishers 320 North Church Street Westchester, PA 19380; phone 800 355 3222 ext.10, fax 610 430 7982 or swedenborg.com. Should you buy any of Swedenborg's books, the new century editions are recommended. I wish to extend my heartfelt thanks and gratitude to Frank Melli of Melli Productions for his generous support and expertise without whom this project would not have been possible. In closing, should you wish to purchase the 2 hour 7 minute video (DVD) Learning About a World Beyond do so by clicking on the pay pal button below with your credit card or debit card information. Should you prefer to pay by check or money order please send the payment and your pertinent data to Anglion Ministries PO Box 335 Yonkers, NY 10705. The cost of the video is $15.00 each. Up to 2 DVD's can be sent for $3.00 shipping and handling in the continental United States. All others add $1.00 and New York State residents include the applicable sales tax. Our voice mail number is 914 500 6022. Please restrict your comments to the 2 minutes allowed. Any longer comments should be addressed to Anglion Ministries Box 335 Yonkers, NY 10705. Thank you. - Corinne Kurtz MS, M. Div. To Order DVD of "Learning About A World Beyond"
in the book of Anglion, are a pathway to God.